Cafe Il Mondo is one of the most popular coffee shops in Hämeenlinna. The reason for our popularity is our delicious products and the friendly service of a family business. We only use fresh, high-quality ingredients, and we’ll be happy to cater for any special requests. Our selection includes pasta dishes, burgers, baked potatoes, dips, pizza, bulgur, panini and toasts, cakes and pastries, special coffees, milkshakes and ice-cream. 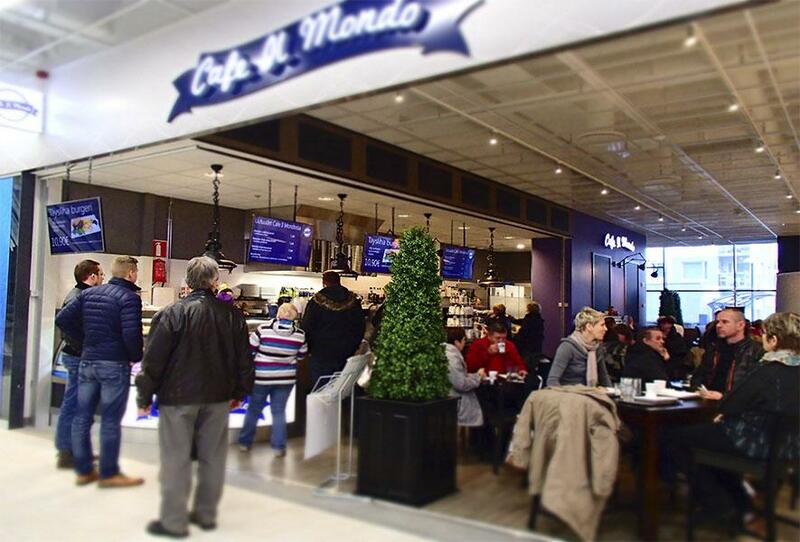 Cafe Il Mondo is ideal for a quick bite or a restful stay. Welcome! Cafe Il Mondo is located on Goodman’s main floor.